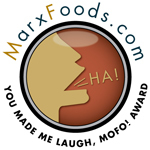 Posted by Toy Lady in mirth & woe, Musings. Well, another market week has come and gone. We only visit the public market every two weeks – it’s just easier that way for us, I guess. What I typically do is keep all the $1 and $5 bills I accumulate during that two weeks, and that’s what we spend. It helps keep us from spending too much AND it doesn’t force the vendors to have to make change for us. So anyway, it seems that, the more available cash we have on hand, the more stuff we find we “need” – have you noticed that? Though really, citrus season is almost over – I DID need to stock up on grapefruits and oranges, and it just won’t do to let the kitty run out of her favorite treats, will it? There was a lady there who was selling Ukranian hand-painted eggs. We talked to her for a few minutes, and found out that she BLOWS THE EGGS, stains them, etches the pattern on them (using some sort of machine) and then paints it by hand. Now that the snow has finally melted (for real this time) (knock on wood), I got out to the garden to see if any of last year’s kale was worth harvesting. Last year, we ended up pulling the remainder during a mid-winter thaw. We didn’t get that this winter, unfortunately. The best we got was when I could actually look out the window and see the kale bushes sticking out above the snow. Yeah, I’m not about to even consider working in the garden then. So, while we did have to compost more than I’d have liked, I did get it all cleaned, blanched and packaged up – enough for 3 meals for us. We decided to roast a chicken this weekend, and, as we usually do, first, Peeps butterflied it and seasoned it, to sit in the fridge overnight. And . . . he always has help when he does that! We do get some mileage out of a roast chicken, I’ll admit. 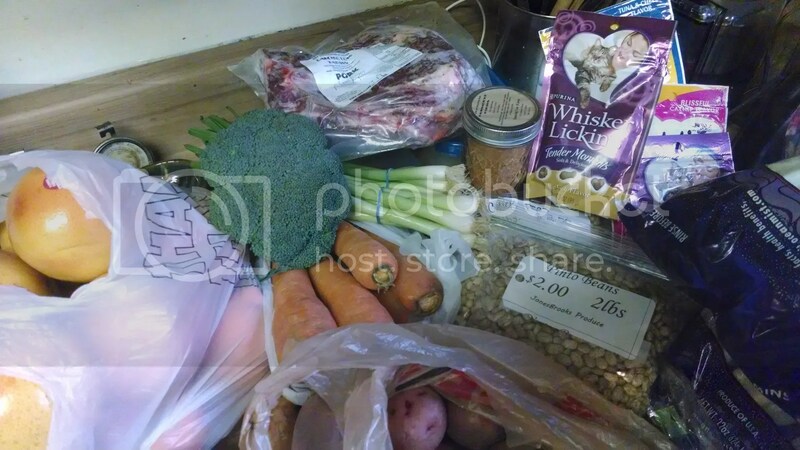 Besides a a couple dinners for us, plus maybe a lunch or breakfast AND a couple of quarts of chicken stock, Jar also gets a meal out of it – he gets the back, the tail, and the “goody packet.” That ends up being just about perfect for one meal for him. I guess he likes to be sure he gets his fair share! 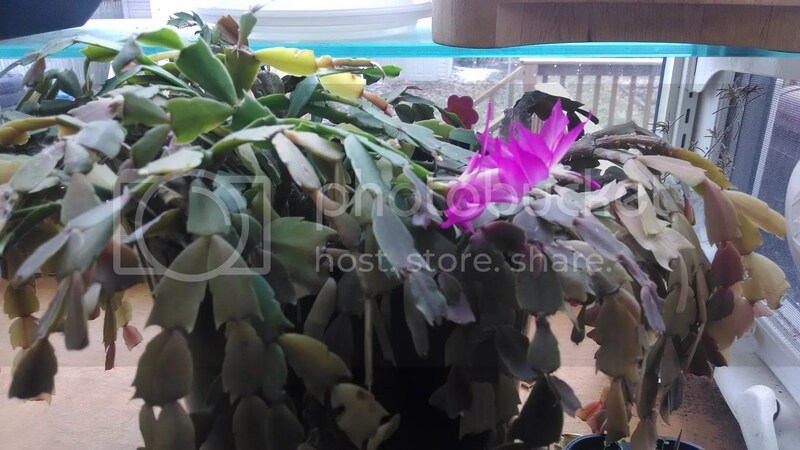 Would you believe there’s STILL one blossom left on my Christmas cactus? That starts blooming, what, around Halloween? And once again, it’s time for the weekly menu plan. While we’re hoping to start seeing some actual Spring weather,well, I’m pretty much at a “I’ll believe it when I see it” point. I’d like to to some odds and ends cleared out of the freezer. Now that we finally got the freezer emptied and defrosted, it’s important to keep rotating things in and out. Monday – We’ve got some of Peeps’s porkstrami thawing – that will get steamed (just like real pastrami!) and served on rye sandwich rolls that we’ll bake fresh. I’m trying another rye bread recipe – only instead of baking as one loaf, I’ll make 6 (or 8) rolls. We’ll also probably do some salad and fries. Tuesday – I found this interesting-sounding recipe for tuna, white bean and kale soup – which, in case you were wondering, is WHY I had to go to the garden and salvage the kale! Wednesday – Since we’re roasting a chicken over the weekend, Peeps suggested chicken and dumplings. I suspect our dumpling season is nearing an end for this year, and it’s SO good, so . . . why not? Thursday – We are supposed to see some lovely spring weather this week, and by golly, we’re going to fire up the grill and slap a couple of steaks on it! We’ll probably have some sort of potatoes and broccoli, just to keep things healthy, though. Friday – The end of a long week – and any week that involves going to work every day is a long week! – calls for pizza night, doesn’t it? Fresh pizza, Kong for the dog, and an evening of catching up on TV is just a great way to end the week, I think. Is SPRING finally really totally coming to your house? I so hope that is true. You “sound” better and love Jar supervising the meal prep. You got a lot of mileage from your cactus and your kitty eats the same kitty treats as mine do. Imagine that. Here’s hoping for continued snow melt everywhere. I’ve had to really start cracking down on Jarly when I’m preparing his dinner – it got to the point where he was standing between me and the counter, BARKING at me for not getting him his meal fast enough! Yeah, that’s gonna stop! Now he sits OUT of the kitchen QUIETLY and waits. Any stepping over the threshold, and barking (or whining or whimpering or carrying on AT ALL) and I STOP and wait for him to simmer down, then I back him up a couple of steps to wait FARTHER away. 🙄 Impatient beast. Awww, it’s like your Christmas cactus was just trying to encourage you to make it thru this winter, huh? The egg is amazing. I love that she takes so much time and effort to make them!